What exactly is BOTOX® Cosmetic? BOTOX® Cosmetic is actually an acronym for botulinum toxin type A, which is a neurotoxin produced by clostridium botulinum bacteria. As administered by a skilled plastic surgeon like board-certified South Carolina plastic surgeon Dr. Ted Vaughn, BOTOX® Cosmetic can reduce the appearance of some forms of facial wrinkles. 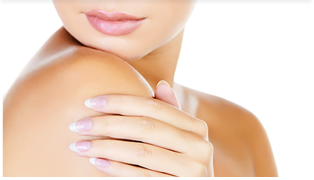 What can BOTOX® Cosmetic treat? BOTOX® Cosmetic is injected into the muscle below the wrinkle using a tiny needle. No anesthesia is typically necessary, and the discomfort is minimal and temporary. BOTOX® Cosmetic temporarily paralyzes the nerve fibers that generate the muscle activity that leads to wrinkles and lines. By inhibiting muscle contraction, BOTOX® Cosmetic allows your features to smooth out, resulting in a more youthful appearance. How long will the results of BOTOX® Cosmetic last? BOTOX® Cosmetic treatment typically lasts about three to six months before your muscles regain action. Repeat treatments will help you maintain your results; without follow-up BOTOX® Cosmetic treatment, your lines will gradually return. Dr. Vaughn or a nurse will discuss the possible risks with you in detail prior to any BOTOX® Cosmetic treatment. Is BOTOX® Cosmetic treatment painful? BOTOX® Cosmetic is injected through a small needle that many patients do not even feel. Some patients may experience minor, temporary discomfort at the injection site. Can both men and women undergo BOTOX® Cosmetic treatment? Yes. Both men and women have achieved results with BOTOX® Cosmetic. Will BOTOX® Cosmetic affect my facial expressions? You will see the results of diminished lines, but BOTOX® Cosmetic will not dramatically alter the appearance of your face or your ability to make facial expressions. If you would like to learn more about the benefits of BOTOX® Cosmetic and whether this injectable is right for you, please contact Piedmont Plastic Surgery online or by phone at 864-223-0505 to schedule your consultation with board-certified South Carolina plastic surgeon Dr. Ted Vaughn. We proudly serve patients in Greenwood, Greenville, Anderson, Columbia, and Laurens, South Carolina, and Augusta, Georgia.